← That’s the word! Credentialing. 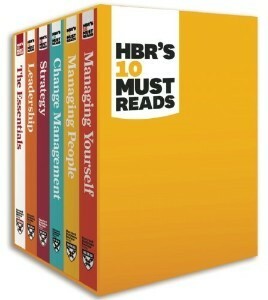 As a sort of poor-man’s MBA I’m planning to work my way through Harvard Business Review’s “HBR’s Must Reads”, a 6-volume collection of curated articles on business. Since I’m relatively new to management and find myself building and managing a new team, I’m starting with the volume “On Managing People”. The first article in the book is “Leadership That Gets Results” by Daniel Goleman. Goleman is an award-winning author, professor and journalist who is probably most famous for writing the book “Emotional Intelligence” and bringing that term into the public conscious. Coercive – “Do what I say”. Specifies the what and how. Authoritative – “Come with me”. Sets a clear vision, leaves the means open. Affiliative – “People come first”. Builds team harmony and morale. Democratic – “What shall we do?”. Gives workers a voice. Pacesetting – “I will set the example”. Demonstrates high performance. Coaching – “Here’s how we can do it better”. Focuses on employee development. Each of the six styles has it’s strengths and weaknesses. For each style there are situations where it’s warranted. The challenge, of course, is knowing the pros/cons of each style, and using them appropriately. It reduces motivation because it reduces employee sense of ownership, responsibility and satisfaction of a job well done. It reduces initiative and innovation. The coercive style should only be used in extreme circumstances, and for a limited time. The authoritative style requires a clear vision, and the ability to communicate that vision, to be effective. It aso requires articulating standards for success (aka KPIs), and having confidence in the team to stay away from prescribing the means to carry out the work. On its own, the authoritative style does not deal well with individual instances of poor performance, but in general this style is the most effective. The affiliative style is particularly important when building new teams, restoring trust, and managing institutional change. It requires a leader who is comfortable sharing their own personal experiences, and who can listen actively. It requires a higher amount of emotional intelligence to be effective with this style. The danger with this style is that it may lead to avoiding necessary conflict, and ignoring poor performance. The democratic style is effective when you really need the buy-in of stakeholders. When you recognize that fiat might get compliance, but the cost of the compliance is high. The challenge with the democratic style is that it needs to be authentic. People need an opportunity to speak and really be heard. This can be time-consuming and may also be frustrating. It requires a leader with excellent facilitation skill to keep control of the participatory process. It is mostly effectively used for specific difficult decisions – especially when the leader is uncertain about the course of action. The pacesetting style is a natural style for people who were recently promoted up to manager due to their outstanding performance as an individual contributor. The problem with this situation is that management is more than just being the official pacesetter. The pacesetter style may work when all members of a team are intrinsically-motivated high-performers who need little direction. But in practice setting the pace is not nearly sufficient to shape, motivate end energize a team to accomplish great things. The coaching style requires a manager who is capable of giving performance feedback that motivates rather than creates fear. This requires some skill. It also requires an employee who is aware of their performance and receptive to improvement. It’s unfortunate that in many circumstances one or more of these requirements are lacking. However, when things align, coaching can have a huge impact on the business. I found it interesting to see that pacesetting has such a negative effect on climate, and should be used sparingly. Goleman too was surprised. But delving a little deeper revealed the issue: the pacesetting style does not provide the motivation or support needed for workers to learn, improve and excel. Self-Awareness – with the traits: Emotional Self-Awareness, Accurate Self-Assessment, and Self-Confidence. Self-Management – with the traits: Self-Control, Trustworthiness, Conscientiousness, Adaptability, Achievement Orientation, and Initiative. Social Skill – with the traits: Visionary Leadership, Influence, Developing Others, Communication, Change Catalyst, Conflict Management, Building Bonds and Teamwork/Collaboration. Since Goleman published the Emotional Intelligence (EI) book four years before this article, I would assume that these come from the EI book, and that this article sprang from examining the traits of EI and how they manifest in leadership style. With so many books on leadership articulating their taxonomy of leadership styles, I was curious to see how far Goleman’s list had penetrated into the culture. A quick google of leadership styles and a little reading revealed that Goleman’s list is one of the top lists of leadership styles. During my readings I discovered that Goleman wrote a book in 2004 called Primal Leadership (summary here) which revisited these styles (and renamed coercive to commanding, and authoritative to visionary). Overall I think this is a pretty good framework for thinking about the way in which a manager interacts with the rest of the team. As the article states, “no style should be relied on exclusively, and all have at least short-term uses.” I look forward to being a little more conscious about the styles I use in the future. This entry was posted in Uncategorized and tagged book, management, review. Bookmark the permalink.